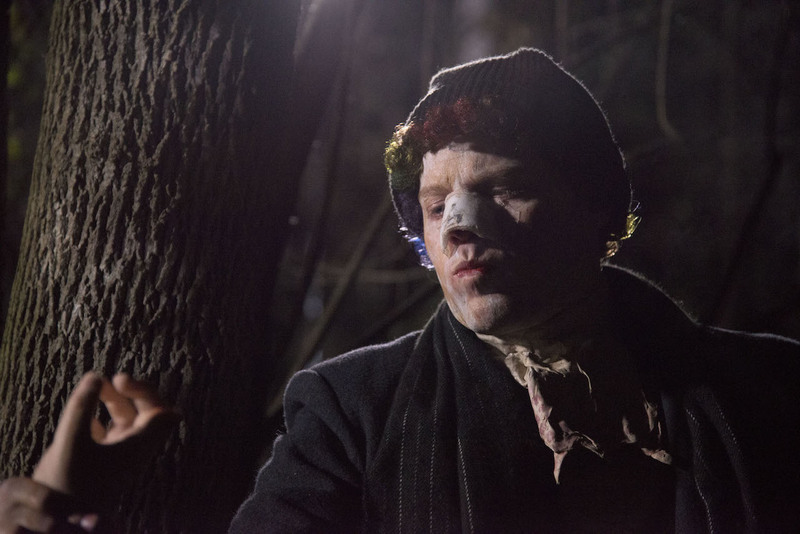 Dimension Films and Anchor Bay Entertainment have today released eleven Clown movie stills, some of which offer a nice look at the Clown monster makeup. The horror feature arrives in select theaters and via On Demand June 17 and hails from producer Eli Roth (Hostel, Cabin Fever). It also marks the feature film directorial debut of Jon Watts who, as comic book movie fans are well aware, followed Clown with Cop Car and was then selected by Marvel Studios to direct next summer’s Spider-Man: Homecoming. RELATED: Have Some Scary Fun With the First Clown Movie Clip! Written by Jon Watts and Christopher Ford, Clown tells the story of a loving father who dons a clown outfit and makeup to perform at his son’s sixth birthday, only to later discover that the costume – red nose and wig included– will not come off and his own personality changes in a horrific fashion. To break the curse of the evil outfit, the father must make grim choices with his own family facing danger. The Clown movie cast includes Peter Stormare (Fargo, The Big Lebowski), Laura Allen (Terriers, Awake), Andy Powers (In Her Shoes, Sweets) and Elizabeth Whitmere (The Last Hitman, UnREAL). Spider-Man: Homecoming, meanwhile, today added 14-year-old Michael Barbieri to its cast in a mystery role. He joins Tom Holland as Peter Parker, Marisa Tomei as Aunt May, Robert Downey Jr. as Tony Stark, Michael Keaton as a mystery villain (believed to be the Vulture) and Zendaya as a character by the name of Michelle. There’s also mystery roles for Laura Harrier and Tony Revolori. The Marvel Studios film should begin production shortly with a planned release date of July 7, 2017. What do you think of the look of the Clown monster? 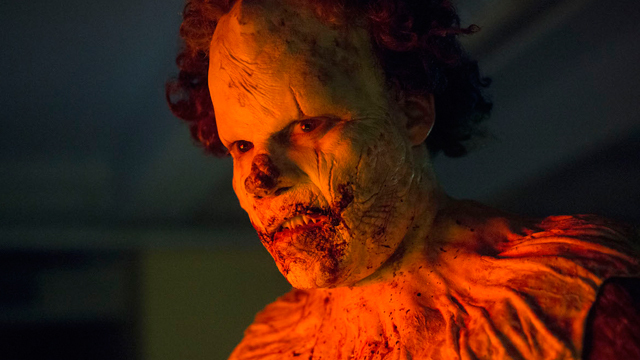 Is the Clown monster makeup too scary for you or not scary enough? Let us know in the comments below!